DCS hosted their 3rd Global Technology and User Conference last week, bringing together engineers, managers and professionals from aerospace, medical device, automotive, consumer electronics and energy to share insights and experiences in the field of dimensional engineering and tolerance analysis. 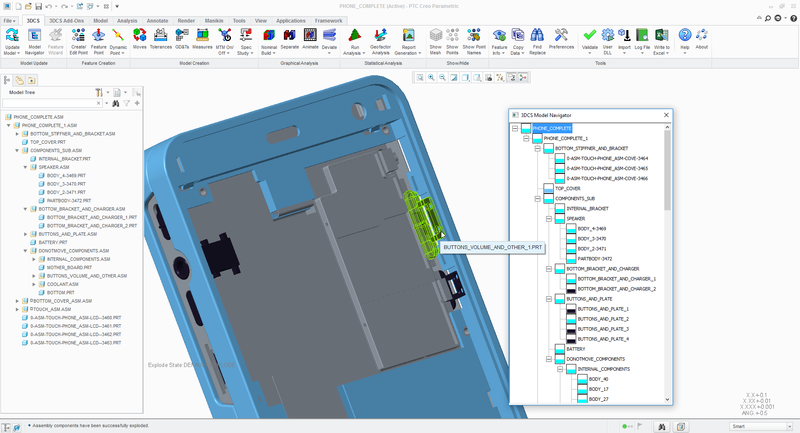 3DCS Variation Analyst tolerance analysis software for Siemens' NX CAD/CAM/CAE solution enables users to analyze process and part variations from within the NX environment. Image courtesy of Dimensional Control Systems. The goal of a well implemented and executed DFMA strategy considers the influence of product design characteristics, such as geometric features, material properties, and processing requirements on the fabrication and assembly methods which will be required for the product to meet its functional intent. Dimensional Control Systems (DCS) is hosting the 2017 Global Technology Conference at the Detroit Marriot in the GM Renaissance Center May 23rd through the 25th. The event combines presentations of technology advancements, applications, success stories and processes in the realm of dimensional engineering and tolerance analysis along with training workshops and networking events. 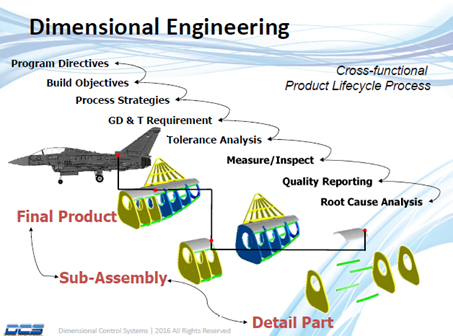 Troy, MI, May 8th, 2017 – Dimensional Control Systems is announcing the full production release of 3DCS for NX™ software, a fully integrated tolerance and variation analysis software for NX, the flagship computer-aided design, manufacturing and engineering (CAD/CAM/CAE) solution from Siemens’ product lifecycle management (PLM) software business. This new integration gives 3DCS users the ability to utilize NX applications and functions such as visualization, Geometric Dimensioning and Tolerancing (GD&T), Product and Manufacturing Information (PMI) data and modeling processes. 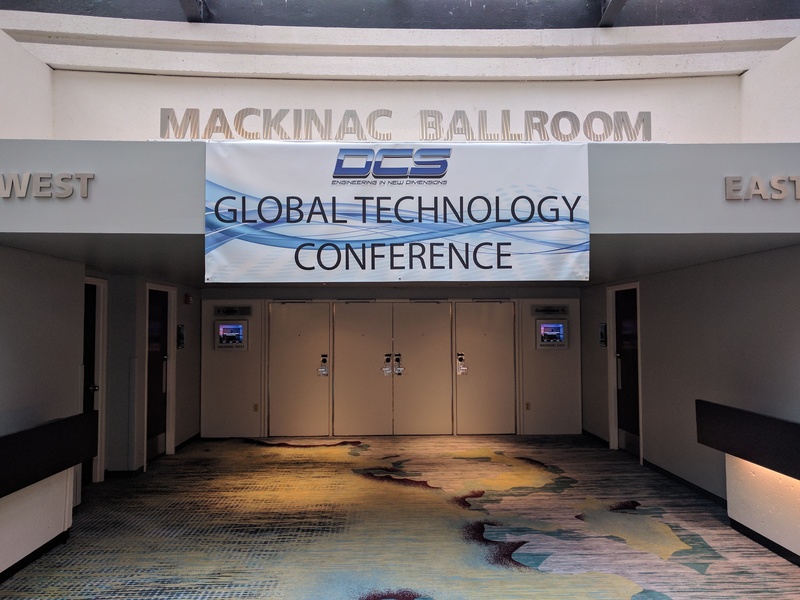 The DCS Global Technology Conference brings together engineers from around the world to share, discuss and learn about advancements and accomplishments in dimensional engineering.